Help create a downtown where all community members feel safe, comfortable and welcome. The City of Eugene is launching a project with the goal of “making downtown a better place for all.” They will be working with Project for Public Spaces (PPS), a nonprofit planning, design and educational organization known for their Placemaking approach. PPS is an internationally known non-profit that has a long history of helping communities transform public spaces into vital places that highlight local assets, spur rejuvenation and serve common needs. 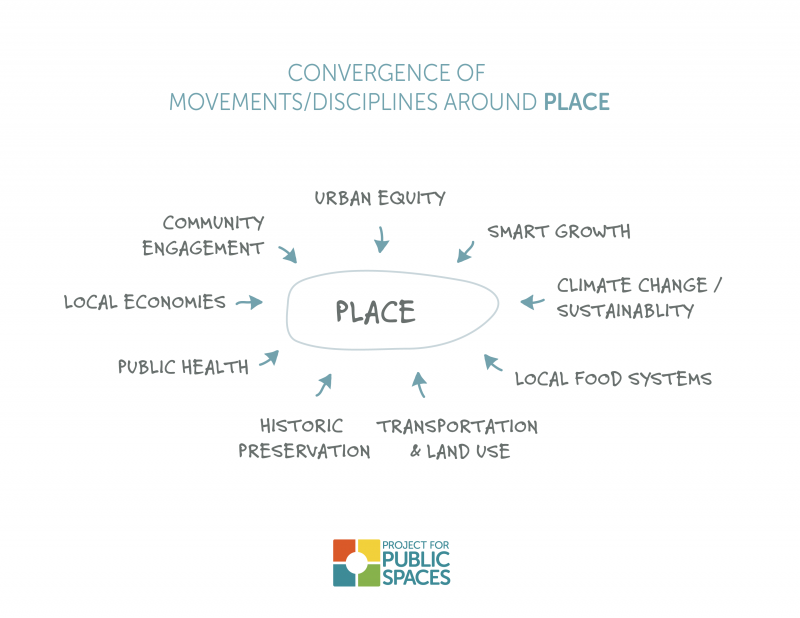 With community-based participation at its center, the Placemaking process is meant to give community stakeholders the chance to voice their own ideas and aspirations about the places they inhabit. This public engagement effort will focus on existing public spaces downtown including the Park Blocks, the Plaza at the Hult, Broadway Plaza (Kesey Square), and the Library Plaza, as well as the pedestrian paths that link them. Events continue into this weekend. Learn about creating memorable public places from national expert Fred Kent of the Project for Public Spaces and provide input on key downtown spaces at the open house event. Provide your input, thoughts and suggestions on downtown public spaces at https://www.surveymonkey.com/r/JV66HQ8. Downtown is Eugene’s civic center and the economic, cultural and governmental focus of the region. Parks and open spaces play a critical role in the vitality of the area and how people experience downtown. In June 2016, the Eugene City Council approved an ordinance making the downtown Park Blocks and other open spaces eligible for up to $5.2 million of urban renewal funding for improvements. Before funding is allocated, however, the Council wants to hear from the community. October 12, 2016 in downtown, public engagement.